All staff (paid/unpaid) working in sport have a responsibility to report concerns to the appropriate Club Welfare Officer. Chosen Hill FP RFC has a duty of care to safeguard all children involved in rugby at the club from harm. All children have a right to protection, and the needs of disabled children and others who may be particularly vulnerable must be taken into account. rugby through adherence to the Child Protection guidelines adopted by Chosen Hill FP RFC. 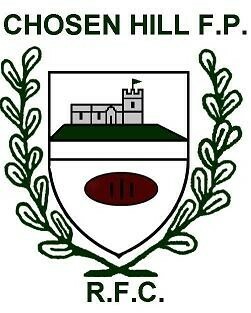 • Providing children and young people with appropriate safety and protection whilst in the care of Chosen Hill FP RFC. • To promote and achieve the highest standards thoughout the club whilst aiming for best practice within the area of child protection. • Allow all staff/volunteers to make informed and confident responses to specific child protection issues. Abuse can occur within many situations including the home, school and the sporting environment. will have regular contact with young people and be an important link in identifying cases where they need protection. All suspicious cases of poor practice should be reported following the guidelines in this document. When a child enters the club having been subjected to child abuse outside the sporting environment, sport can play a crucial role in improving the child's self-esteem. In such instances the club must work with the appropriate agencies to ensure the child receives the required support. All personnel should be encouraged to demonstrate exemplary behaviour in order to protect themselves from false allegations. The following are common sense examples of how to create a positive culture and climate. • Always putting the welfare of each young person first. • Maintaining a safe and appropriate distance with players (eg it is not appropriate for staff or volunteers to have an intimate relationship with a child or to share a room with them). • Ensuring that if any form of manual/physical support is required, it should be provided openly and according to guidelines provided by the Coach Education Programme. If it is difficult to maintain hand positions when the child is constantly moving, young people should always be consulted and their agreement gained. Some parents are becoming increasingly sensitive about manual support and their views should always be carefully considered. • Keeping up to date with technical skills, qualifications and insurance. • Involving parents/carers wherever possible. For example, encouraging them to take responsibility for their children in the changing rooms. If groups have to be supervised in the changing rooms, always ensure parents, teachers, coaches or officials work in pairs. • Ensuring that if mixed teams are taken away for the day or night, they should always be accompanied by a male and female member of staff. However, remember that same gender abuse can also occur. • Ensuring that at tournaments or residential events, adults should not enter children's rooms or invite children into their rooms. • Physical abuse occurs when young people are given alcohol or inappropriate drugs or there is a failure to supervise their access to these substances. • Being an excellent role model - this includes not smoking or drinking alcohol in the company of young people. disabled adults - avoiding excessive training or competition and not pushing them against their will. • Securing parental consent in writing to act in loco parentis, if the need arises to administer emergency first aid and/or other medical treatment.